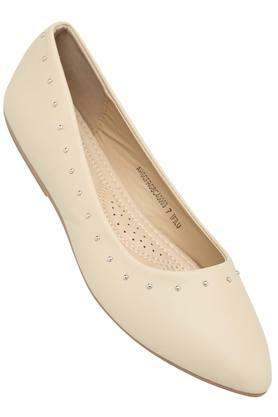 Make a transition from fitting in, to standing out by wearing this pair of ballerinas presented to you by Allen Solly. 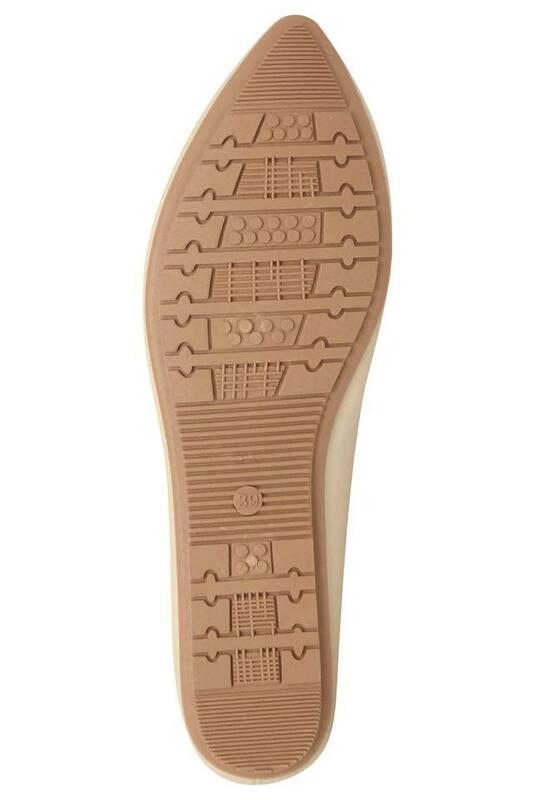 It has a synthetic leather upper with metal detailing, which lends it a polished look with a natural sheen. 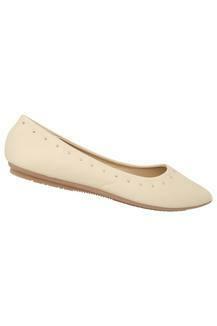 Besides, it has a slip on style that makes it convenient to wear while also contributing to its design. Designed to perfection, this pair of ballerinas will be an excellent choice for you to wear while going for any casual occasion. It can be teamed with a pair of jeans and a top to walk in style.